Roma Imperiale Quartzite is quarried in Brazil. 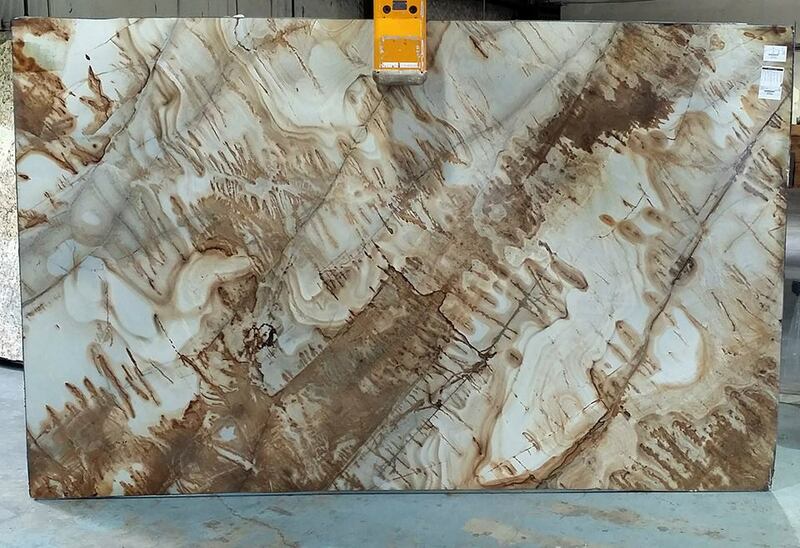 It is an exotic beige stone with vivid gold and mahogany veining. Each slab is unique in its pattern and coloring. It features a high amount of color variation and movement, consisting of rich gold tones, shades of cream and white, along with veins of deep brown and rust. Roma Imperiale compliments many design styles and becomes the focal point to any room. Roma Imperiale countertops will bring a sense of warmth to any kitchen or bath. Golden and cream shades of countertops are the best-selling color choice. The popularity is attributed to their warm inviting feel, which makes them the perfect countertop color for almost any decor or style preference. Because Roma Imperiale has a lot of movement, it will pair well with simple cabinets. Cream or medium stained wood cabinets blend with the colors for an impressive, luxurious appearance.